Our Community Seed Swap last night was a blast! We learned so much from our presenters Kami Green and Jessica Ferguson. 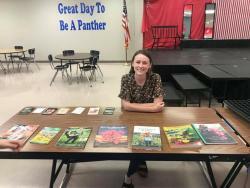 Kami Green is from the U of A Faulkner County Extension office. She shared . . . Egg Drop Challenge in STEM! 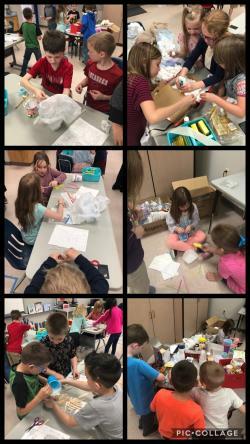 Our Kindergarten students participated in an Egg Drop Challenge as part of their science lessons the past few weeks! 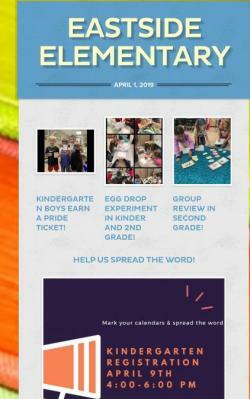 Students worked with their classroom teachers and Mrs. Havens to plan, design, . . .
Sweet Homecoming from Military Dad! We had an incredibly special event on Friday at Eastside! 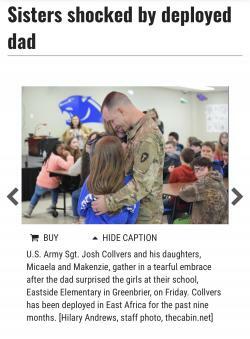 The dad of two of our students has been deployed, serving in the military, for the last 10 months. U.S. Army Sgt. Josh Collver called the . 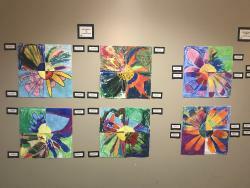 . .
Art Fest Showcases Amazing Eastside Artists! What an amazing display of the talent at Eastside Elementary! Ms. Gordon has worked so diligently engaging our students in different types of art using history, examples, and hands on experiences to . . .
We have so many great things happening at Eastside and our Greenbrier community! Click the link for information about everything going on! https://www.smore.com/thm7r A few to point out . . .